Construction, Building, Maintenance, UK National Schedule of Rates for Measurement (NSRM) Dynamic, via Excel. 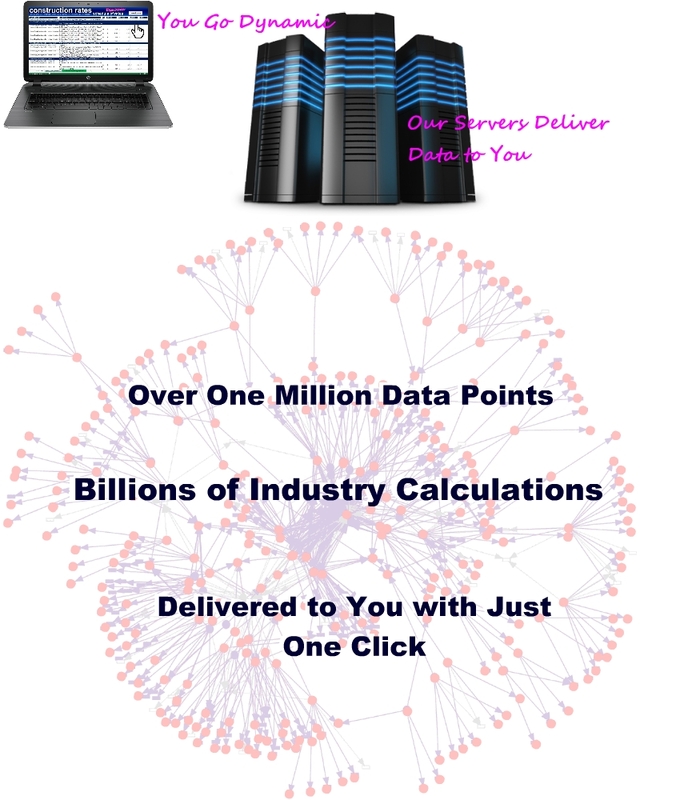 Our schedule of rates is one of it's kind, it's dynamic performance is unrivalled, we have brought together many years of historic output performance information, introduced new methods and productivity gains and fused this with pure dataflow directly from manufacturers and distributors. The result is extraordinarily powerful, improving your productivity and placing you ahead of your competitors. The current schedule of rates out there don't benefit you from changing information and changing situations. So we've made our schedule, Dynamic... So imagine, like most organisations that deliver building and maintenance works, you want to do some of the works using your directly employed people, some elements you will use agency and or local labour only workers and for some elements you will use Specialist Sub-contract companies. Each of these have their own cost head and hence require differing rates. Well we have done that, you can, if you like, change the hourly rate for each trade making the rates shown now reflective of how you intend to work. Obviously, you can increase or reduce the hourly rates to reflect how much you need to recover for each trade. This will account for expenses such as hotels, travel, meals, site access and egress costs due to the nature of the site due to the location/security situation etc. To also increase the control you have you can, also if you like, adjust the overhead recovery on materials and on plant and change the waste factors too. At the top right of the screenshot you can see a button, 'Update Dynamic' this links the sheet directly to a web server to get data and ensure your schedule is upto date. Remember though, that you are in control of the schedule of rates, you can change all of the labour rates which apply to the 244 work categories and the waste factors and the material and plant uplifts too. It's easy to edit the "Mat-Lab-Plant-Waste_Adjustment" shown in the screenshot above, the 'tab' at the bottom. The screenshot below shows some of the work categories where you can adjust and apply your labour rates etc directly to the schedule of rates, again at the click of a button. When we send you the schedule, it is populated with our current record of likely hourly rates commanded by specialist sub-contract Limited Companies, with an uplift to cover overhead recovery. But as stated above, these are for you to change, if you like, to reflect how you work and want or have to work differently on different projects.